Russia proposed Japan to build a rail-and-road transition from Japan’s Hokkaido to the southern part of Russia’s Sakhalin. VLADIVOSTOK (Sputnik) — Russia proposes Japan to consider the possibilities of building a rail-and-road transition from Japan’s Hokkaido to the southern part of Russia’s Sakhalin, Russian First Deputy Prime Minister Igor Shuvalov said on Wednesday. "I want the participants of the session to know that we seriously offer the Japanese partners to consider the possibility of building a mixed transport, road-and-rail transition from Hokkaido to the southern part of Sakhalin. At the same time, we are close to starting our part of works of bringing railway to the Pacific coast and constructing such a complex transition from the mainland to Sakhalin. In this case, it will provide an additional opportunity to use our rail infrastructure, and Japan will become a continental power," Shuvalov said delivering a speech at the Eastern Economic Forum. According to Shuvalov, this project is possible with the use of modern technology, and at the same time, it will not be very costly. 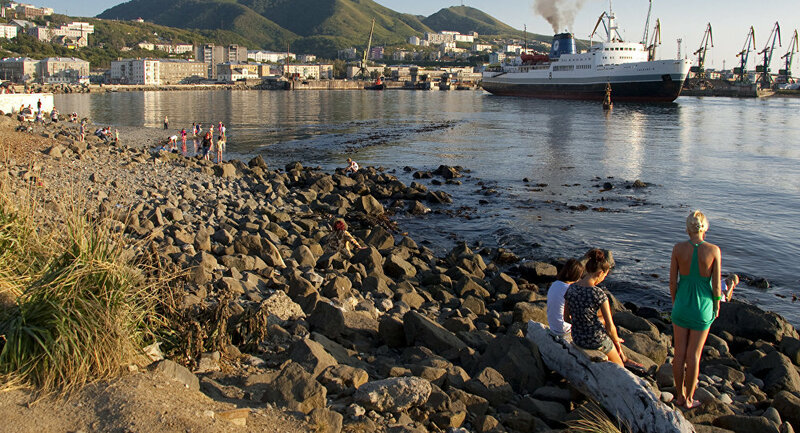 Russian-Japanese relations have long been complicated due to a disagreement over a group of islands, which Russia calls the Southern Kurils and Japan the Northern Territories. The revitalization of the relations between Moscow and Tokyo started when Prime Minister Shinzo Abe met with Russian President Vladimir Putin and presented an eight-point bilateral economic plan during his landmark visit to Russia’s Sochi in May 2016.